What makes a great Document Management System? Your documents are your everything. Contracts, client details, employee details, invoices, minutes of meetings, future plans, company finance information - the list is (potentially) endless. But are your documents secure? True, so I'm guessing you're savvy enough to back up your various files in, well, various places, an external cloud perhaps - but are they actually safe? It may sound obvious, but if your documents really are that important to you, which they obviously are, is this ever worth the risk of taking a short cut? Without your contracts and plans, the safety of your entire organisation is compromised. This is why a secure Document Management System is so important. Not only will it protect your documents from falling into the wrong hands, or at be invisible to those who should not be seeing it, but you'll also have great peace of mind knowing that your valuable information is secure leaving you to focus on the most important thing: running your business. Document security is not a new concern; cyber-crime is as at an all-time high and will continue to increase. As a result, there are many Document Management Systems on the market, with many more seemingly becoming available all of the time. A majority of them can do exactly what you want, but, as with anything, there is of course the danger that you could end up working with a system that not only isn't meeting your requirements, but will actually put your documents at risk. With a hosted CDOX from CogniDox, every system is built specifically for the company we are working with, and our team is on hand to help you tune security to meet your needs. All files that are uploaded are encrypted with a 2048-bit SSL certificate (this article on the GoDaddy site explains the need for a 2048-bit SSL certificate), user access is authenticated and actions are tracked in a secure audit log. Security is very much our priority, so you don't need to worry about it. A great Document Management System is run by a team who are continually keeping track of the ever-growing cyber-threats that continually threaten to jeopardize the security of the online world, updating the system accordingly to keep all documents safe. It's also key to take the pressure off your already over-worked IT team. We take control of the setup, administration and general maintenance of the system, leaving you to just use it safe in the knowledge that you'll always be working with the latest version. A great system should be easy to use, the longer it takes to feel comfortable working with a new piece of software, the more time you are not spending running your organisation. With CogniDox, those who have the correct levels of authorization have complete control over their documents - they are clearly visible, you can move, add drafts, add issues and share with your colleagues as you see fit, including the option to publish externally. Everything is traceable, accountable and easy to monitor. It's only natural, especially when working with a piece of software for the first time, that you will have questions to ask, concerns to raise and, potentially a few teething problems as you find your way around the tools on offer. We have great pleasure in training any new clients extensively on CogniDox, whether that be an onsite session to your team, or remotely with a Skype/phone call. Time is tight, time is money and sometimes you need answers quickly. We've all been put on hold, having to wait in a queue, frustrated. Whilst we believe our system is easy to navigate, we are always on-hand to discuss any queries you may have: questions about the security of our cloud, or just advice on how to run the system as smoothly as possible. Read our reviews to see how our customers feel about us. A good Content Management System can save you time - a lot of time. A great system will save you £500 per employee per month by reducing waste in document management. A bad system, however can cost you just as much, as well as causing inevitable stress when fixing problems (files missing, visible to a not approved colleague/client or even worse: hacked) and takes the focus away from your day-to-day tasks. Considering the consequences, why would you even consider not using a respected, secure system in the first place? 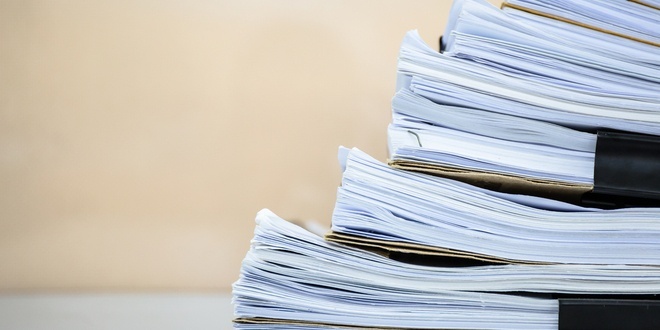 So, what does actually make a great Document Management System? We've covered a lot of points here, but ultimately the answer is simple: a great Document Management System is a secure Document Management System that, of course, has a positive user experience. Drop us a line to see if we can help make the running of your business just that little bit easier.